The Bank of PNG has been restricting access to foreign currency in a bid to maintain the falling exchange rate of the Papua New Guinean kina and avoid depleting its own US dollar reserves. The move has created a problematic backlog of requests from businesses to access foreign currency for imports. Prime Minister Peter O'Neill said the loan would be used to clear the foreign exchange requests of major fuel and rice companies. "The Central Bank is talking to the IMF to create a temporary facility of $US250 million, which they will bring in to make sure they pass it on to the commercial bank," O'Neill said. "Then [the Central Bank will] make sure they clear up the foreign currency backlog that we have," he added. O'Neill said the loan required the approval of PNG's three commercial banks — Bank South Pacific (BSP), Westpac and ANZ — but only BSP had agreed so far. "BSP has agreed to it but the other two foreign-owned commercial banks have not agreed to it, and the negotiations are still going on," he said. "Once all the commercial banks agree with IMF and the central bank the relief will be coming in very soon." The PNG Government has been struggling to pay public service wages and meet its recurring expenses after a collapse in commodity prices last year. Jonathan Pryke from the Lowy Institute's Melanesia Program said the loan did not address the PNG Government's cash crisis, but it would help the country's businesses. "It's a good thing for the PNG economy," he said. "It's definitely not a complete fix, it's not anywhere close to it — but it's certainly needed and it's a step in the right direction." 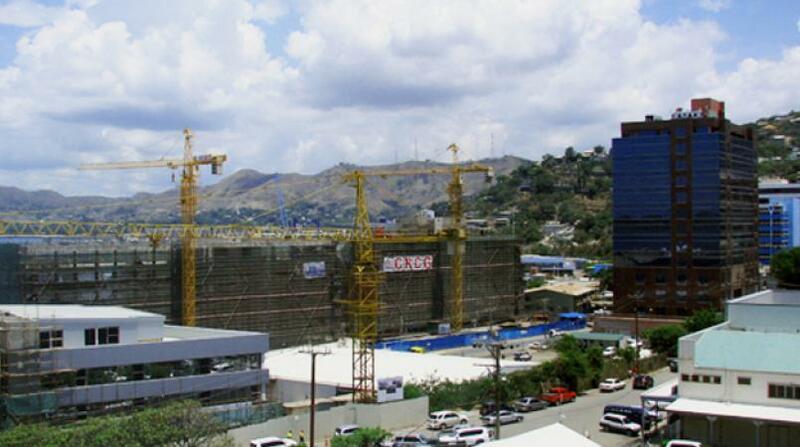 PNG had been hoping to raise $1.3 billion with a sovereign bond issue this year, but has delayed it because there was not enough interest from potential investors.